With Halloween sneaking up on us, I’m sure you’ll be attending some parties. 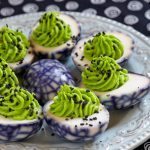 The kids are sure going to go nuts over these Halloween deviled eggs. 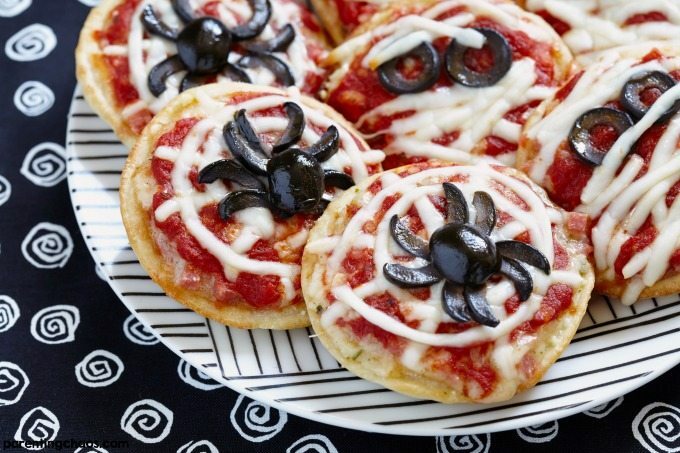 If you’re looking to jazz up a regular recipe this Halloween, this one is perfect for you. 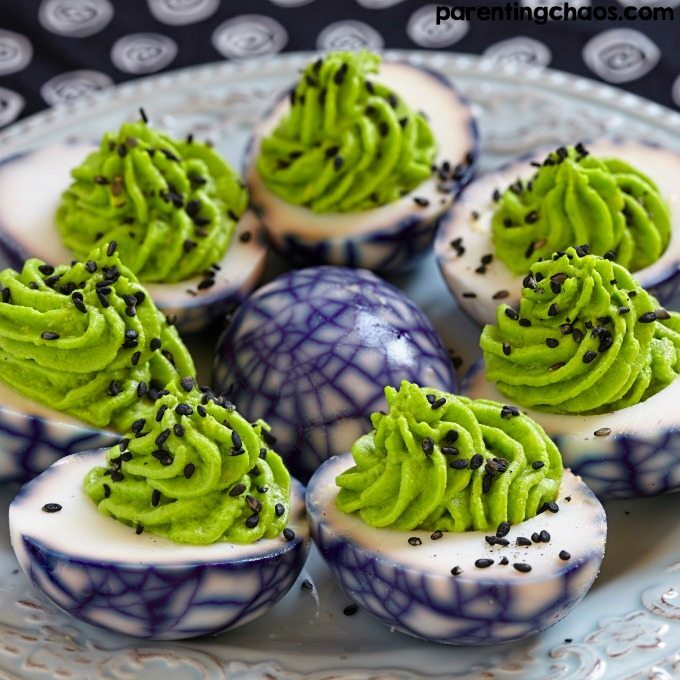 These deviled eggs are delicious and a huge hit with the kids. I mean, they look like dinosaur eggs! They’re super cool. 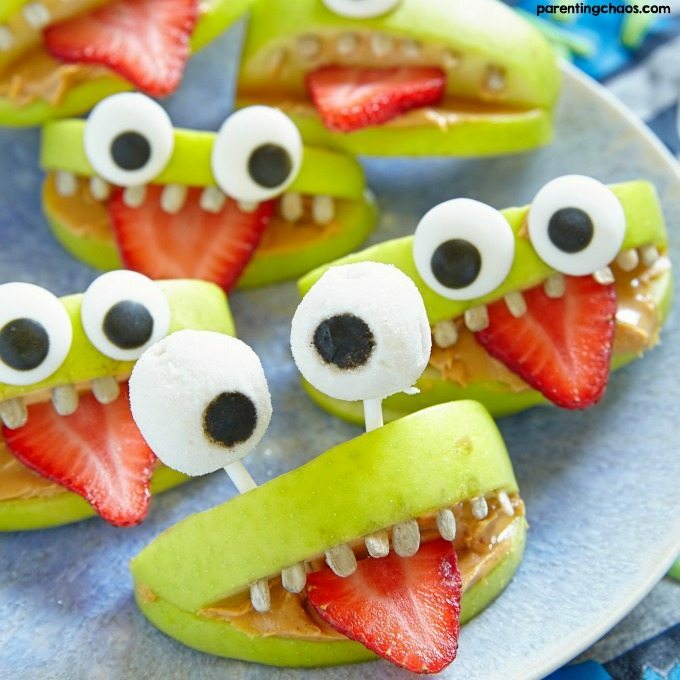 Around our house, we love making these for parties we go to or even just a fun snack during the season of Halloween. 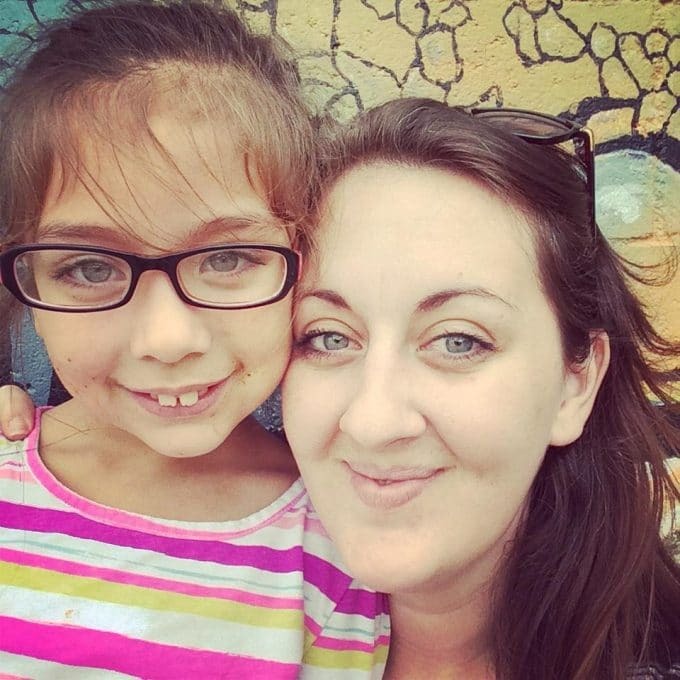 The kids love them and they’re super easy to make. 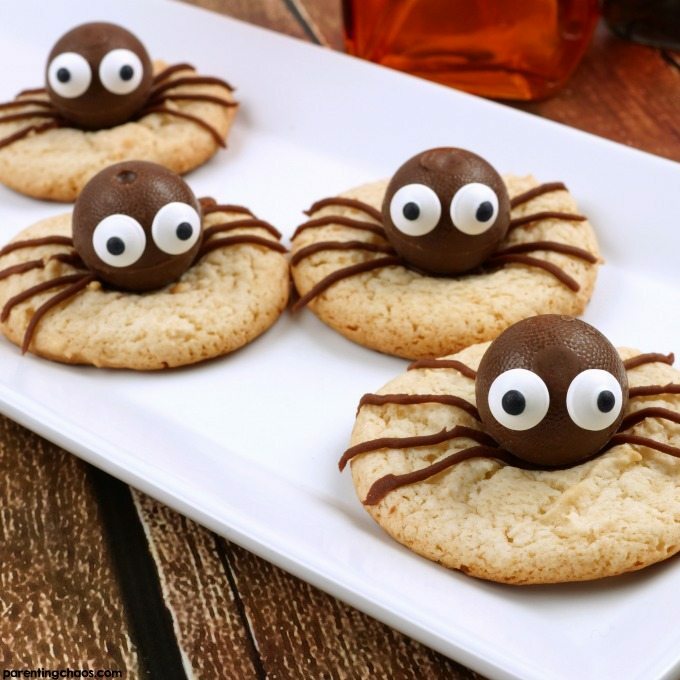 If you’re looking for a super fun recipe to bring to your next Halloween party, this is definitely it. It’s a huge hit with the kids and it looks super cool. It does take a little bit of prep for the eggs, but still relatively easy. Note: to make the eggs look like dinosaur eggs, you will need to follow my Monster Egg recipe. Place your cooked egg yolks in a small bowl & mash them up with a fork. Stir in the mayo, mustard, worcestershire sauce, hot sauce, food dye, salt, & pepper. Scoop the filling into the egg whites. 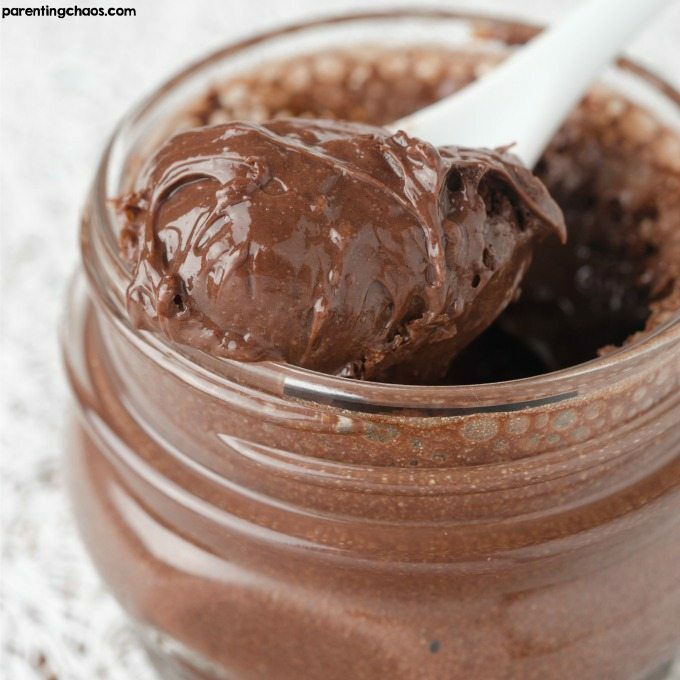 Sprinkle with paprika and/or chia seeds. 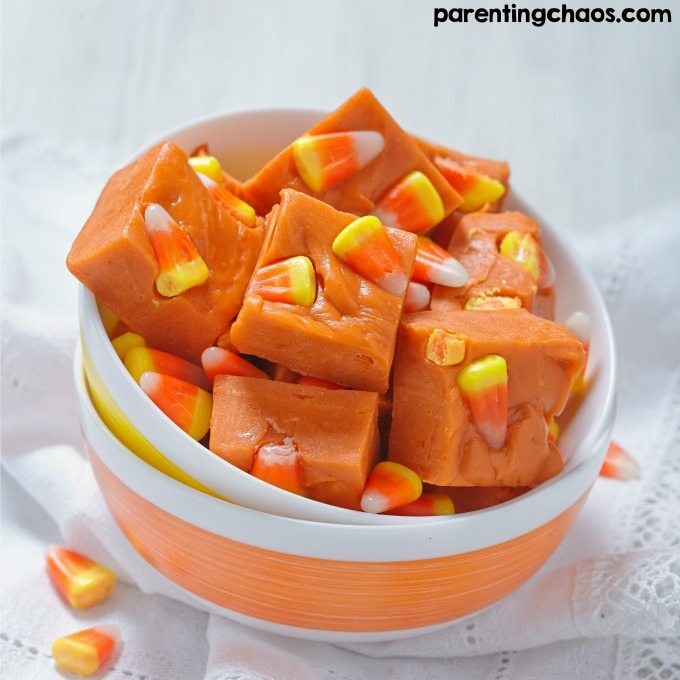 Want more Halloween recipes? Check out our Spooky Spectacular Halloween Recipes eBook that is filled with over 50 frightfully fun recipe ideas! 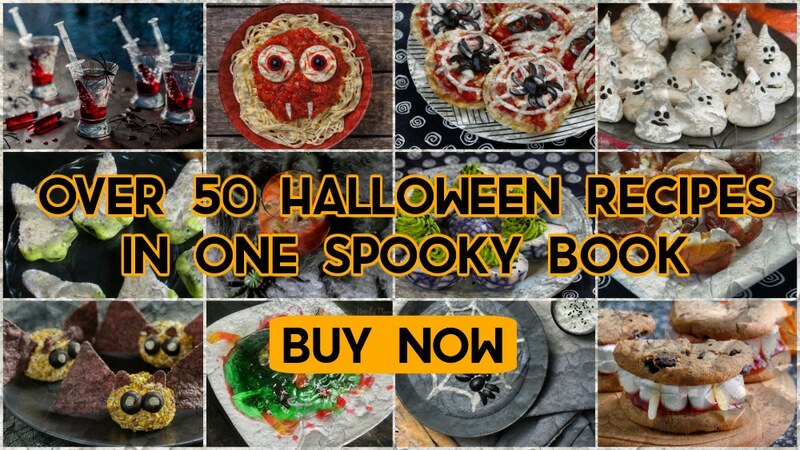 Inside this eBook, you’ll find simple ingredients and recipes for creeptacular and spookilicious dinners, appetizers, drinks and desserts; so simple, in fact, that you’ll be able to create some seriously cool foods–with very little effort. Not making these Halloween Deviled Eggs right this second? Then pin this post so you can easily find it once you are ready to get cooking!